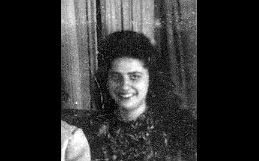 "Helen R." is Helen Romanelli, one of Dot and Sis' best friends. Sis says Helen's only weakness was her habit of having crushes on all the wrong guys. She would sit around and "moon" about them and play "their" song over and over on the juke box until it would drive Dot and Sis nuts. 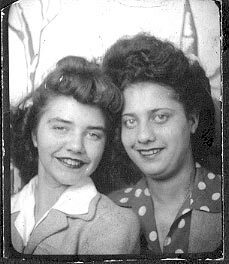 She had a big crush on their friend Don Doty, who Sis says never took any girl seriously.